As I mentioned, in an earlier post, I have been trying to “cure” my stomach issues with diet rather than with medication. I will be honest and tell you it’s been a real struggle. I feel like it’s one step forward and two steps backwards most days. One thing I needed to give up, at least temporarily, was wheat based products. I haven’t missed much but I do like a sandwich now and again or a piece of toast with my eggs. I haven’t heard many good things about store made GF bread so I decided I would make my own. I have tried quite a few GF bread recipes and this is the one that I think is the closest to “real” bread. I have been making bread for a zillion years with great success but the technique for gluten free bread is totally different. It’s important to not over think the process. I had a couple of colossal flops before I figured that out. The technique is more like a dessert type bread than a yeast bread but the bread will look, feel and taste like yeast bread. This is not my original recipe. I found it by doing a Google search for the best gluten free bread recipe. The search led me to a wonderful blogger named Kim. 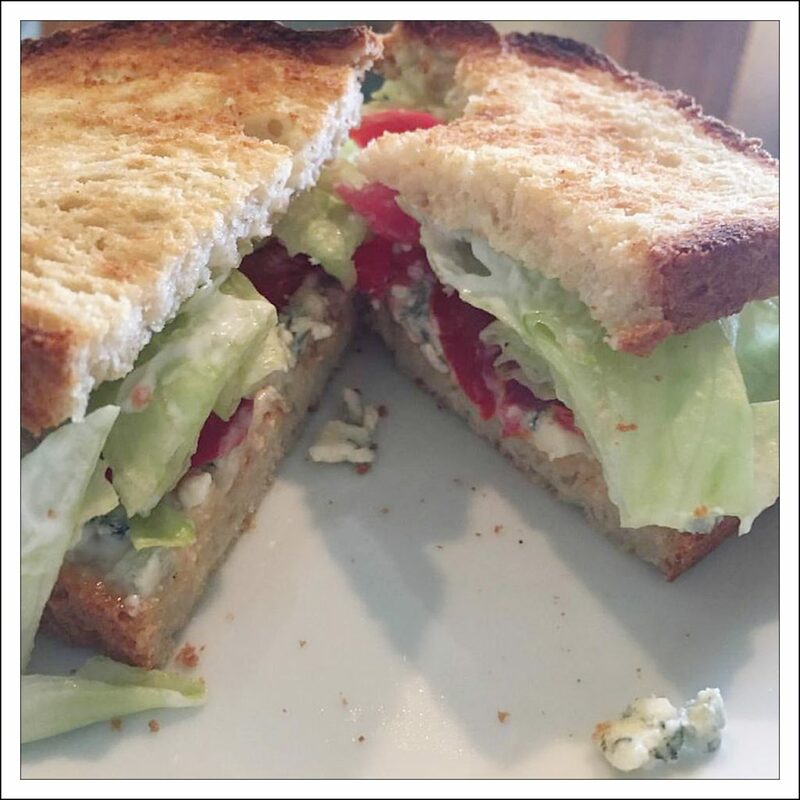 She has done all of the hard work and posted a recipe that is really great! I wanted a recipe that looked like “real” bread and seemed easy to make. This one fits the bill. I made a couple of changes to her recipe but my recipe is almost exactly as the one Kim posted. I used granulated sugar instead of honey because I cannot eat honey yet. You can’t leave out the sweetener because the yeast needs it to do it’s “thing”. The recipe I am posting is with the ingredients that I except for the oil. I used coconut oil and it does have a slight coconut taste. I have listed the oil choices Kim provided in her recipe. I will use a different oil next time. Be sure to go over and read Kim’s blog post. She has a lot of great information. A note about why I use a digital thermometer to check if the bread is completely cooked. Gluten free bread is a much moister bread than regular yeast breads. It may look done and sound hollow when tapped but it can still be too moist inside. When it isn’t done your loaf will collapse as soon as you take it out of the pan. 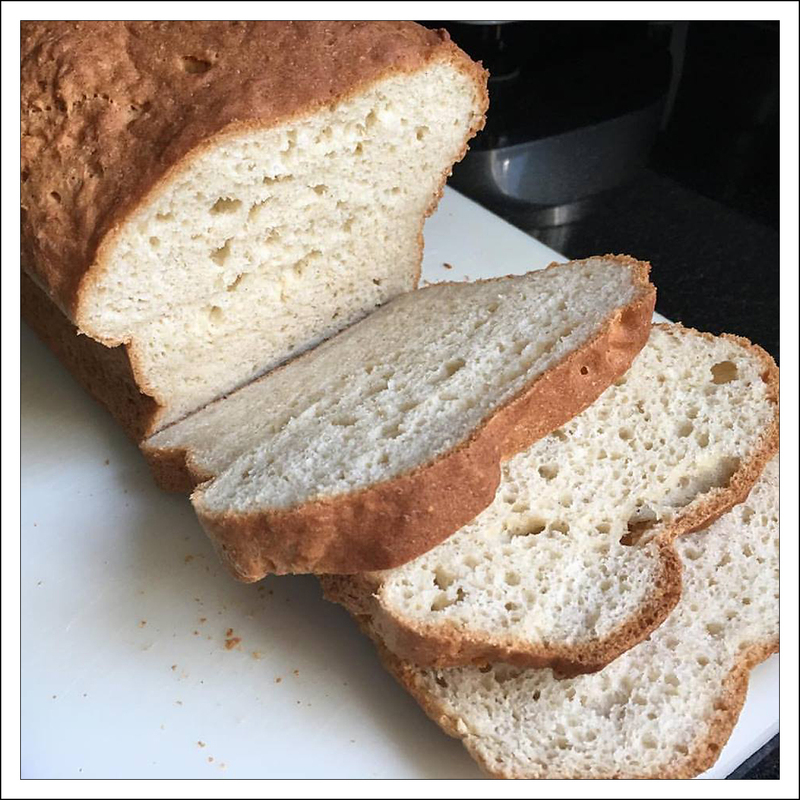 Another blogger recommended using a thermometer to test the bread. It worked like a charm! Place water in a microwave safe cup and heat for about a minute. You want the water to be about body temperature or 100 degrees. The exact temperature isn't critical. It's better to be too cool than too hot. Place all dry ingredients in the bowl of your mixer. Whisk until thoroughly blended. If you are using sugar add it now. If you are using honey add it with the wet ingredients. Add all wet ingredients. Mix on low until all ingredients are mixed and then mix on medium for about 2 minutes. Place in a greased loaf pan (I used a 9 x 5 inch pan). Spread with a spatula or damp fingers to get a fairly smooth top. Place pan, uncovered, in a warm, draft free place to rise. I set mine in my oven with the light on and the door closed. Let rise for 40 minutes. Remove from oven and pre-heat oven to 350 degrees. Bake for about 40 minutes or until done. I use a thermometer to check to see if it's done. I bake it until it reaches an internal temperature of 210 - 220 degrees. When done, remove from oven and let cool in the pan for 5 minutes. Take the bread out of the pan and cool on a wire rack.